Have you ever asked yourself these questions and struggled to answer them? When I was a little girl, I always wondered who I was, and it bothered me that I was unable to truly answer my own questions about self and life. I knew I was more than my name and the physical person I saw when I looked in the mirror. I think a lot of us share this experience of questioning who we are and our purpose for being. And when we aren’t able to answer these questions we feel uncomfortable and uncertain about life and our position in it. So if you’re caught in the grips of life and struggling right now to figure out who you are and what your purpose in life is, know that you aren’t alone. 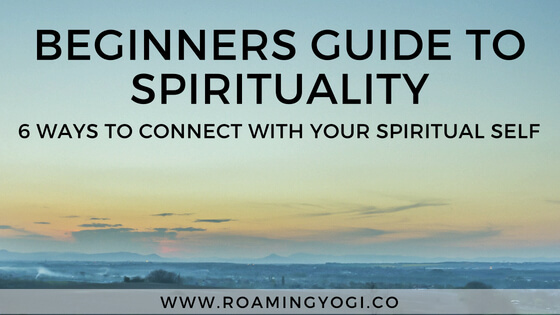 Sometimes we just need a bit of assistance to put us back in touch with our true selves and our true nature, and that’s the point of this beginners guide to spirituality. First things first — let go of society’s definitions of success. These definitions are egocentric and only based on physical attainment. Think about money, fame, power, beauty etc. We attribute all of these things with “success” and when we do this we simultaneously measure our worth on a sliding societal scale of how much we’re able to mark off of the success checklist. And if we fail to measure up to this definition we call ourselves failures; we feel unworthy and less than. We may become depressed and withdrawn because we stop believing in ourselves. We lose sight of our own value. Let me give you an example — if I asked you right now: “How do you know if you or someone else is successful?” What would you answer? I remember for me, I used to think success meant having a good job, being well-educated, having a lot of money and being able to buy new cars, designer clothes, expensive trips and big houses. Because in the absence of those things — how could success be SEEN? It couldn’t. At least not according to society’s definition. Here the definition isn’t black and white, it’s fluid. You have the ability to sculpt out success and mold it to fit who YOU are, what YOU like, what makes YOU happy, and not someone or something else. Right here, right now, think about that question, and then write down your answers to it. Start striving for your own definition of success rather than someone else’s. Now before I go into this second step I want to be clear — there is absolutely nothing wrong with money. Money isn’t bad. Money isn’t the enemy and money can and does bring a lot of good into our physical world. But, money shouldn’t be the sole motivating factor for how you choose to spend your time. So here’s what we’re going to do to set money aside — I want you to imagine you won the mega millions lottery today. You’ve become an instant millionaire, and you never have to work another day in your life again if you don’t want to. You can have any material item you want. You can travel.You can do whatever you want with your time because you aren’t tied to financial obligations. No longer do you have to work at a job that doesn’t please you. You aren’t bound by bad bosses, corporate, or shift-to-shift living. You are free. And now that you’re free you’re not going to waste your time doing things that don’t bring you happiness and fulfillment. So, what do you choose to do? Whatever your answer is, that’s your true calling. And the moment you start to align with your true passion and desires is the moment you begin to really tap into your spiritual nature. And when this occurs, this is when you find yourself in perfect harmony with the universe, co-piloting toward YOUR destiny, YOUR success, YOUR truth. We’ve all heard over and over again that everyone has their own journey — but how often do we really sit back and let that soak it? Probably not very often, and that’s why we find ourselves comparing our lives with the lives of other people, and in many cases idolizing them and wishing to be them. But, this is YOUR life, not someone else’s. And that’s a fact that needs to be repeated — this is YOUR life. And your mind is your pen. The physical world your paper. What will your story be? Who are you? It’s your responsibility to tell the world who you are and why you’re here, and to share your purpose because there is a reason you’re here. You need to know and believe that. Don’t place your pen in someone else’s hands because even the best-intentioned people don’t know your purpose for being. Trust yourself and trust the universe, and you will be guided to living your true life. All of us are energetic beings living in an energetic world, meaning all of us and everything around us carries a vibration and frequency. Some vibrations are high and some vibrations are low. And our emotions are a good indicator of where we are right now. For example, when you’re feeling angry, unhappy, depressed, enraged etc. this means you’re vibrating at a lower frequency. And these emotions serve you in many ways so I don’t want to dismiss them or say you shouldn’t feel sad or angry because there’s probably a reason you do. But, even in circumstances where we find ourselves vibrating at a lower level, we can bring gratitude into the equation and immediately raise our vibration. Why? Well, because like energy attracts like energy. So when we focus on what we’re grateful for, we’re able to attract and notice more things around us to be grateful for. And this in turn, makes us feel happier and more connected with the world and universe. Being grateful is paramount to connecting us with our spiritual nature — regardless of our emotional state; and the more you do it, the happier you’ll be. Thank you for my family. I’m grateful I have people in my life who love and support me. Thank you for my job. I’m grateful I have money to pay my bills. Thank you for my breakfast. I’m grateful I have this food to nourish my body. There’s no wrong or right way to do this exercise, as long as you’re sincere about what you’re thankful for in your life. The whole purpose of this is to allow the flow of positivity and gratitude to reemerge in your life. Although this journey is yours alone, that doesn’t mean you’re on your own. At any point in time, all of us have access to the divine guidance of the universe — we just have to tap into it and ask. So when you’re feeling lost, confused or uncertain of where to go next, ask for guidance. If you’re sincere and open to this, you’ll start to receive the answers and direction you’re looking for. Keep your senses perked, and be ready for your request to be answered in sometimes unexpected ways. Do you ever have those days when it feels like nothing is going right? Or that your life is like one massive tornado? Go outside and spend some time in nature. Soak in the sun. Feel the breeze. Open your eyes, ears and other senses. Sit in front of a pond and watch frogs eat flies, or big fish eat smaller fish. Listen to the sound the wind makes as it wrestles leaves off of their branches. Chaos is a natural part of life — one that isn’t exclusive to the human species. And nature reminds us of this fact. This is important because it means that when you’re having hard times and feel like the world is against you, know that it’s not — things will get better. What’s more, nature also re-aligns us with the vibration of the earth and the universe. When we sit in nature, we’re able to reconnect with our true selves and disconnect from societal influence. Take a walk. Sit under a tree. Plant a garden. Sit in front of the ocean. Make an effort to recharge your spiritual battery at least once a week, and spend time in nature. Above all remember, you are a divine, spiritual being who has always and will always exist (although not always in this physical form). At your core, you are a spiritual being having a human experience — not the other way around. Honor your spiritual nature as often as you can; it’s an integral and inseparable part of you. Antasha is a spiritual writer, life-long student of the universe, and psychic tarot card reader. 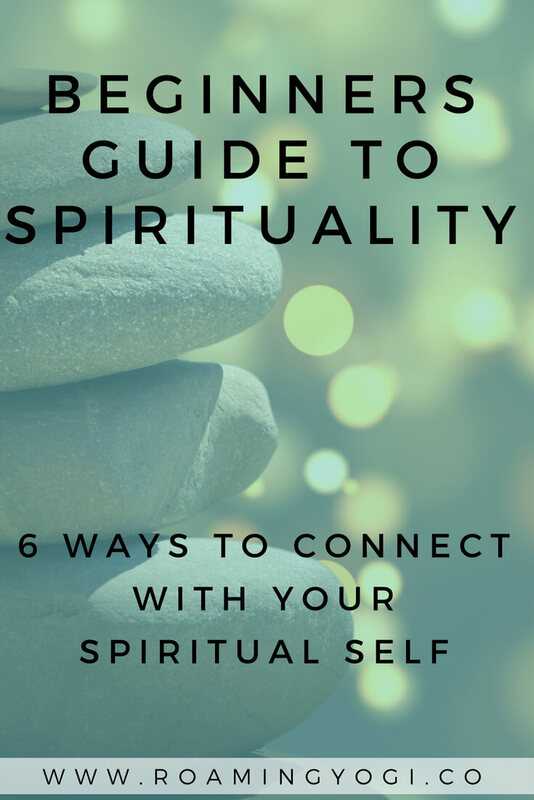 Her website, cajspirituality.com, is dedicated to casualizing the spiritual experience and making it attainable for anyone, anywhere, anytime. Follow her for free, easy-to-digest and highly actionable advice on spirituality, mindfulness and empowered living.